CLEARFIELD – The Central PA Outdoor & Sports Show has announced the schedule of events and seminars for this weekend’s three-day event. 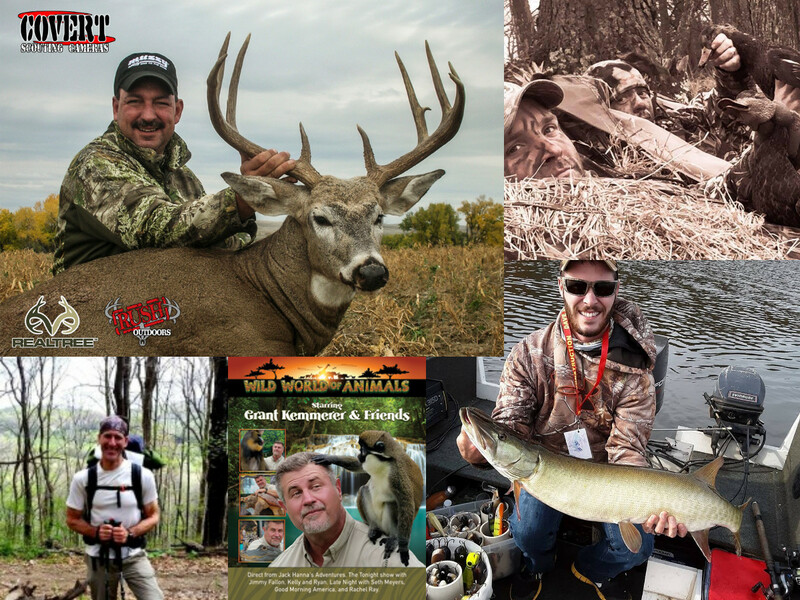 Highlights include seminars by Realtree National Pro Staffer/TV Host, Tim Andrus; two-time Appalachian Trail thru-hiker, Scott McKenzie; winner of the recent National Fly-Fishing League competition on the Juniata River, Codey Schlemmer; and calling lessons by Allegheny Wing-shooting expert, Kevin Miller. Direct from Jack Hanna’s Animal Adventures (TV Series 1993-2008) and as seen on the Tonight Show with Jimmy Fallon, Kelly & Ryan, Late Night with Seth Myers, Good Morning America, Animal Planet and others, this animal line-up is sure to bring excitement to the entire family. Also, on Saturday, Rodney Swope Jr. with Sportsmen for the Future will hold an open forum and discussion on the main topic of Chronic Wasting Disease (CWD) present in Clearfield County and throughout the state, and the sportsmen group’s research and initiatives. Attendees can learn more about this forum here. On Sunday young outdoor enthusiasts will receive a hands-on educational experience with Holly Rennell of Exotic Edventures at 1 p.m. There will also be food vendors, chain saw carving, show giveaways and more. The show will be held March 22-24. Show hours are Friday and Saturday 10 a.m. – 7 p.m. and Sunday 10 a.m. – 3 p.m. Tickets are $5 per adult; children 12 and under are free. It is presented by Magnum Broadcasting, GANT News and the Clearfield County Fair & Park Board and is sponsored this year by America’s third-oldest, family-owned brewery, Straub Brewing Co. and Visit Clearfield County. For more information on the Central PA Outdoor & Sports Show, visit the Web site at http://centralpaoutdoorshow.com. 2 p.m., Tim Andrus, Realtree National Pro-staffer/TV Host, will present “The Do’s & Don’ts of Trail Cams.” Be present for your chance to win a Covert Scouting Cam. 10 a.m., Exhibits Open, Expo II Building ($5 admission for adults; children under 12 are free). 11 a.m., Tim Andrus, Realtree National Pro-staffer, will present “The Do’s & Don’ts of Trail Cams.” Be present for your chance to win a Covert Scouting Cam. 12 p.m., Rodney Swope Jr. of Sportsmen for the Future will host an open forum and discussion on the main topic of CWD present in Clearfield County and throughout the state, and the sportsmen group’s initiatives. 3 p.m., Tim Andrus, Realtree National Pro-staffer/TV Host, will present “The Do’s & Don’ts of Trail Cams.” Be present for your chance to win a Covert Scouting Cam. 1 p.m., Holly Rennell of Exotic Edventures will present a children’s educational animal seminar.